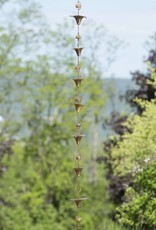 Flamed Steel calla lily rain chain features lily cups and bells for a relaxing garden feature. 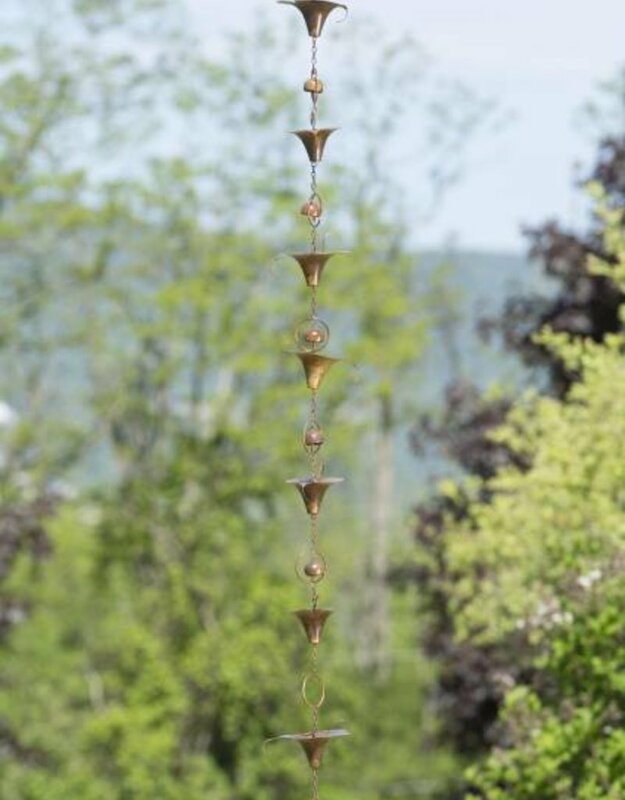 Rain chains are alternatives to a downspout. They are widely used in Japan. Their purpose is largely decorative, to make a water feature out of the transport of rainwater from the guttering downwards to a drain or to a storage container.